Troop 8 At The Scout Show Way to go Troop 8! 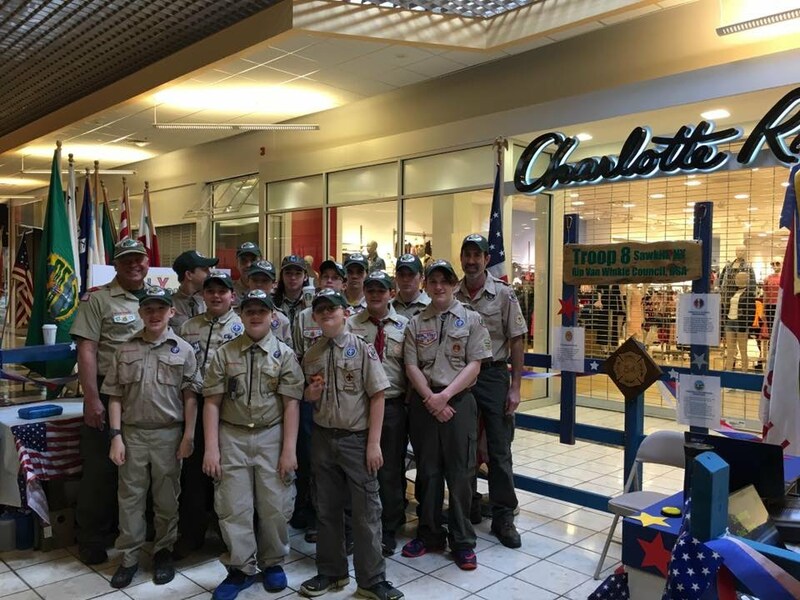 Troop 8 took 2nd place way to go!!! 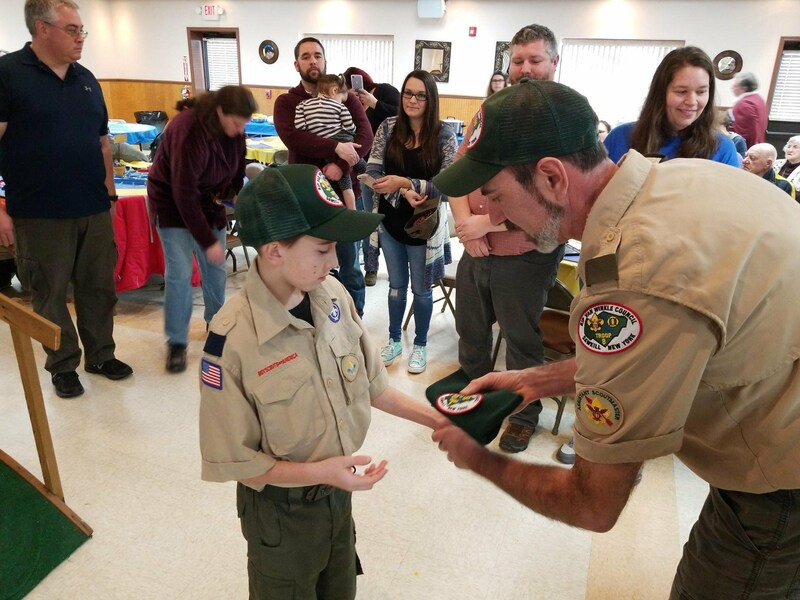 Cub Scouts bridging into Boy Scouts 2 new Boy Scouts receiving their hat, beanie and troop patch. Both from Pack 135. 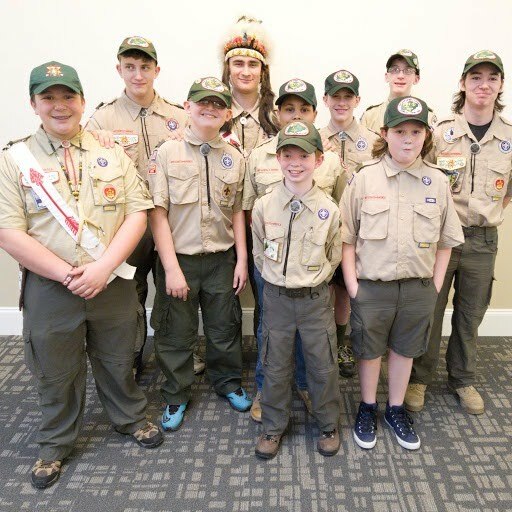 Let's welcome David Clearwater and Zane Cahill to Troop 8.